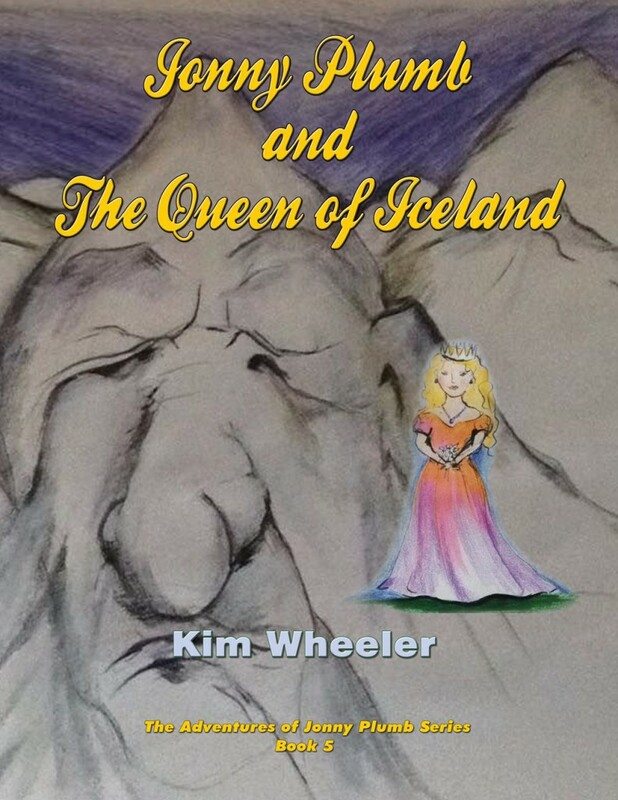 Jonny's incredible adventures continue with the next installment of the six set series called Jonny Plumb and the Queen of Iceland. Jonny and his two faithful companions and best friends Legion and Legend travel to Iceland in order to find the eleven singing Runes which means he has to walk along winding paths, cross a raging river, swim in another river, walk over a volcanic field, then, climb a huge glacier, find a ginormous cave behind a huge scary looking waterfall, meet the snake with the lisp and stammer, then find the hidden cave, and then find the Queen of Iceland, and sing her this song in either English or Icelandic or both, while dodging the Angkas, the Hairy Growlers, the Greedy Gobblers and a huge sea monster called the Aspidoceleon, or Mincing Mary to her friends...Then he has to meet the Icelandic Yule lads, the strangest and weirdest family ever. Once Jonny has found all the hidden Runes he then has to meet the Queen of Iceland but everything isn't as simple as it seems. Jonny has to gather many sacred objects from around the world and then travel deep into space to a land called Dark Shadow where he has to find and remove the Elixir of life and return home safely in order to build a sacred machine, but what machine and what does it do? So join Jonny, his faithful dogs Legend and Legion and his entire family and friends in this next rip roaring laugh out very loud jaw dropping ride of a lifetime adventure and meet some very funny characters along the way.